alaTest has collected and analyzed 905 reviews of Samsung GALAXY Tab 8.9 (P7300, P7310, P7320, i957). The average rating for this product is 4.3/5, compared to an average rating of 4.3/5 for other products in the same category for all reviews. Comments about the performance and screen are overall positive. The portability and usability also get good feedback. There are some less positive comments about the GPS navigation and touch screen. We analyzed user and expert ratings, product age and more factors. Compared to other products in the same category the Samsung GALAXY Tab 8.9 (P7300, P7310, P7320, i957) is awarded an overall alaScore™ of 88/100 = Very good quality. 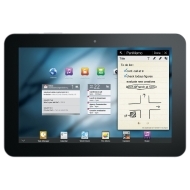 alaTest has collected and analyzed 36 user reviews of Samsung GALAXY Tab 8.9 (P7300, P7310, P7320, i957) from Amazon.co.uk. The average user rating for this product is 4.0/5, compared to an average user rating of 4.3/5 for other products in the same category on Amazon.co.uk. People are impressed by the size and performance. The screen and usability are also appreciated. Reviews are divided on the durability, and many are negative about the storage. alaTest has collected and analyzed 110 user reviews of Samsung GALAXY Tab 8.9 (P7300, P7310, P7320, i957) from Amazon.com. The average user rating for this product is 4.3/5, compared to an average user rating of 4.1/5 for other products in the same category on Amazon.com. People are impressed by the design and performance. The battery and size also get good comments, whereas reviews about the camera and usability are mixed. Is the 10.1 lookalike Samsung Galaxy Tab 8.9 any match for the Apple iPad 2? The Samsung Galaxy Tab 8.9 is one of the best tablets yet released. The Samsung Galaxy Tab 8.9 has an 8.9in capacitive touchscreen and at just 8.6mm thick, it is described by Samsung as 'the world's thinnest mobile tablet'. Samsung's Galaxy Tab 8.9 is a little smaller, a little lighter and a little cheaper than the 10.1, but it's also a little bit better. AT&T's version of the Samsung Galaxy Tab 8.9 adds HSPA+ and LTE connectivity to the great-looking tablet. The Samsung Galaxy Tab 8.9 is better than its larger sibling, delivering the same Android tablet performance in a more compact package with a lower price.